In preparation for the 2014 World Cup, followed by the Olympic Games in 2016, Rio de Janeiro State in Brazil has decided to greatly expand the transport capacity of the Rio de Janeiro – Niterió shipping route. An order has been placed with Afai Southern Shipyard China for the building of seven double-ended aluminum ferries with an LOA of 78 m and a capacity of 2,000 passengers. The ferries will largely supplement the existing fleet. More than 100,000 passengers are transported on this shipping route every day. The ferries have been designed by CoCo Yachts Holland BV in Heukelum. Bakker-Sliedrecht from the Netherlands is designing and supplying the drive systems and will see to commissioning. 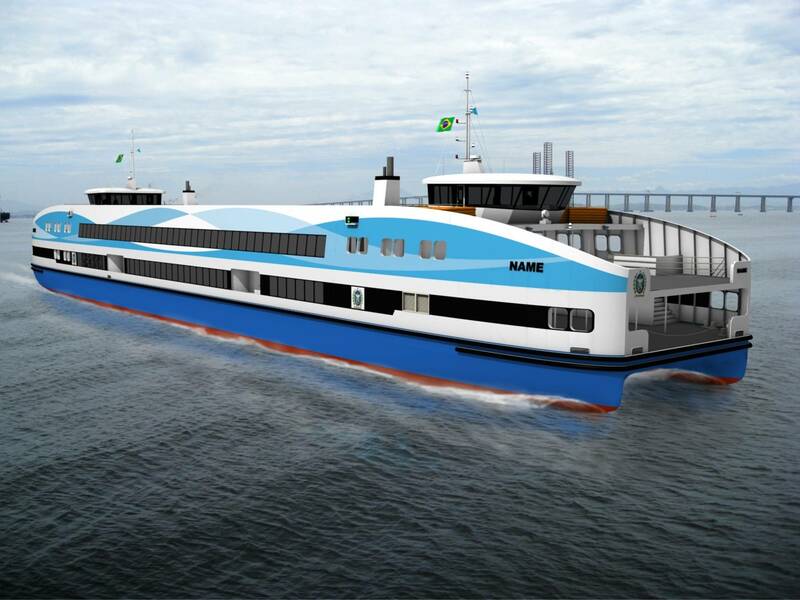 For each of the seven ferries, Bakker-Sliedrecht will supply the 690VAC twin main switchboard linked by a cable tie; two auxiliary switchboards for the thruster drive system; two thruster drive systems, suitable for two motors per drive system; four electromotors delivering 700kW each. The drive systems will be engineered in the Netherlands. Bakker Marine Electric Zhangzhou (China) will build the switchboards and drive systems. The drive systems will then be commissioned on the shipyard in China.